The Dartmouth Natural Resources Trust is thrilled to announce our third annual Trail Race, a fundraiser to support DNRT’s 35+ mile trail network and 5,000+ acres of protected open spaces in Dartmouth! 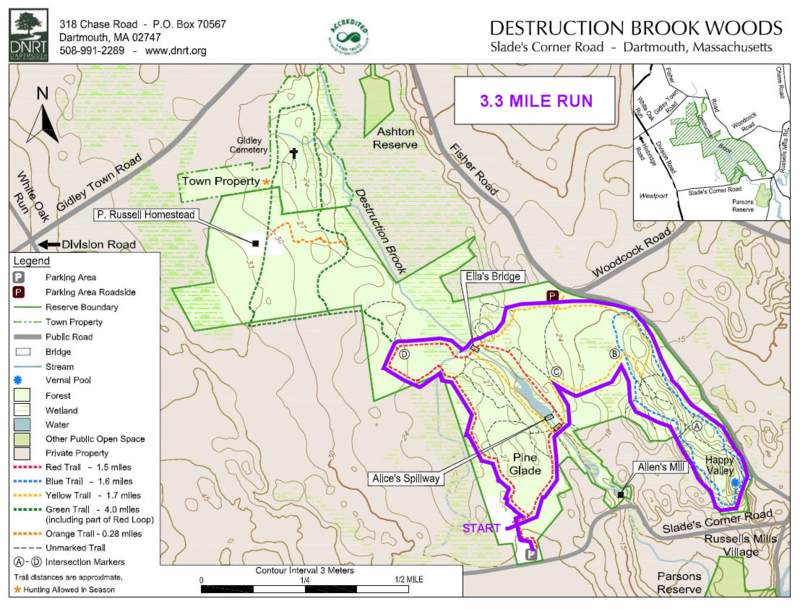 The trail race will feature a unique 3.3 mile running course that winds through fields and forests at Destruction Brook Woods. 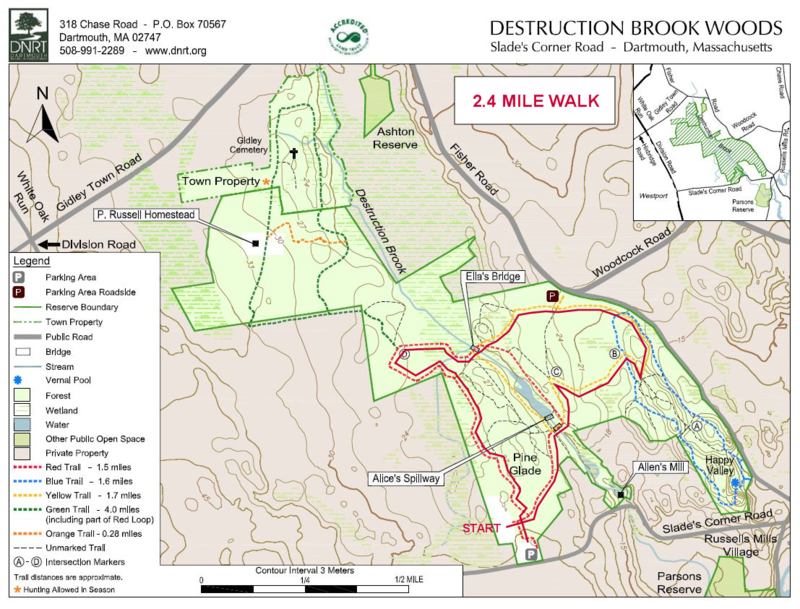 We are also offering a 2.4 mile walking course. So whether you’ve run 5Ks in the past and been curious to try something different, or you’re an accomplished trail runner, or a running novice, the 2017 Trail Race will be an enjoyable event for you. And if running isn’t your thing, we’ve got you covered: come out and support us by signing up for the 2.4 mile walk with some friends. Spectators are also welcome, so feel free to come out and cheer on the participants.